With the upcoming forecast of double-digit temperatures, it looks like we will all be foregoing our heavy sweaters, wool socks and winter boots - in favour of lighter layers, skin revealing pieces and toe-showing sandals. Out of sight-out of mind. With our feet and limbs tucked into warm layers through the cooler months, we often don't notice the neglect our skin has endured until that warm Spring day arrives and we wish to wear short sleeves, shorts and sandals... yikes! As you begin to shed your layers of protective clothing with the arrival of longer, warmer days, your spirits will be soaring but your skin may still be crying the Winter Blues. Through the "Brrrr-Chilly" months, skin can become dehydrated, overheated and undernourished. Leaving you with dry, itchy skin, rough spots, and a lack of youthful glow. The good news is, it doesn't take long to see that soft and supple skin re-emerge. Start now, and you can prepare your skin for the "big reveal" in the near future. 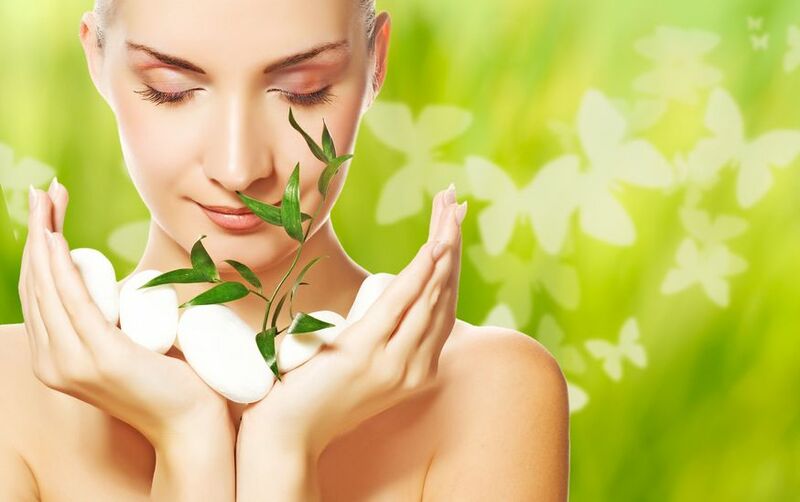 Part 1: Before we get to topical ways to prepare your skin for Spring - let's go right to the most long-lasting and effective way to help skin look it's best. 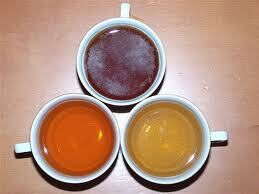 Drink herbal teas - this helps to increase hydration in your skin and organs while helping to detox your body. Drink green tea - substances known as catechins, which are found in green tea, can stimulate the body to burn calories, in turn decreasing body fat, while helping your organs to detoxify your blood. These same catechins are also rich in anti-inflammatory and anticancer properties, giving green tea added benefits. Try a specific detox blend - personally, I enjoy Pukka Detox Tea - (organic aniseed, fennel & cardamom tea: to cleanse & revive). Click here for a great TEA site. Drink plenty of clean and pure water - this helps to hydrate your skin and organs. Water is essential to skin's regeneration and metabolism, producing new skin cells and growing hair follicles. Visible brightening that you see in your skin after consuming water, is a result of transported nutrients and increased circulation that that water in your body creates. Sip ginger tea twice a day - following a meal. 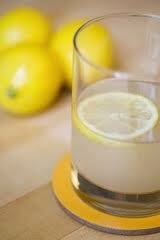 The ginger will help to relieve bloating and boost digestion so your body works more efficiently. Drink hot water with lemon juice in the mornings - it will help to keep you hydrated and the vitamin C it offers will help convert toxins into a water-soluble form that is easily flushed away. Increase your intake of fibre and fresh fruits and vegetables - Spring is an easy and economical time to increase your fibre and nutritional intake by taking advantage of fresh, green vegetables and fruits. Make the most of the lush growing season of asparagus, baby greens like spinach, and strawberries. If possible, try adding organic foods to your diet, where possible. The less toxins and pesticides in your food, the less residue left for your spleen and liver to process, and the healthier your skin will be. 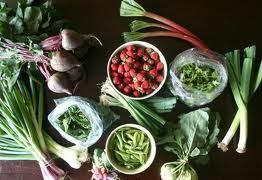 Click here:A wonderful local source of farm fresh and organic produce, delivered to your door. Incorporate skin-healthy foods into your diet.